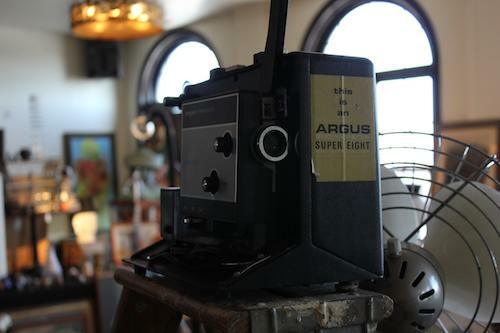 A Super 8 camera in the Artefacto booth at the Vintage Bazaar. 1. 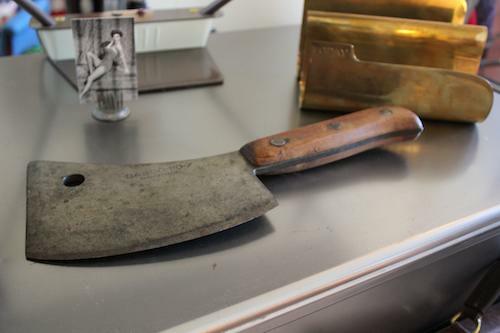 A butcher knife from Manly Vintage. $50. Said to be about 100 years old. Almost old enough to help you live out the dream of the 1890’s. 2. 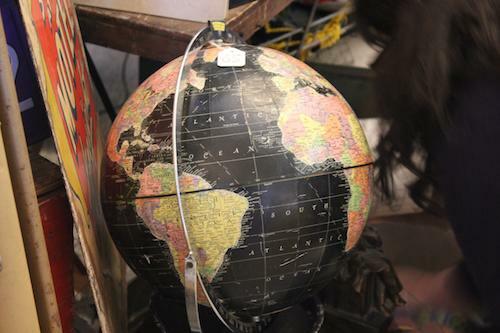 A vintage black globe from Opendoor Studio. $65. How vintage is it? We’re not sure. Probably not old enough to have the words “Ottoman Empire” printed on it. We dig it because it’s black. Perhaps it’s actually a post-apocalyptic globe, created during a time when BP and Exxon turn our oceans black with oil. We’re pretty sure that’s documented in Revelations. 3. 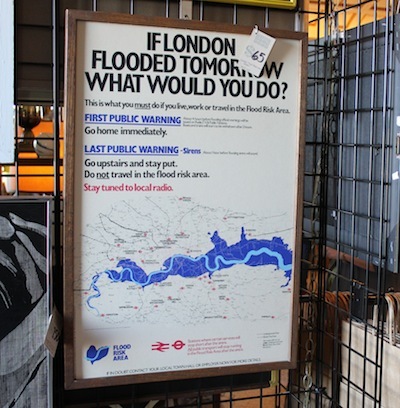 This poster is so much more useful than “Keep Calm and Carry On.” $65. From Take 2 Vintage. 4. An old-school ice bucket with penguins on it. 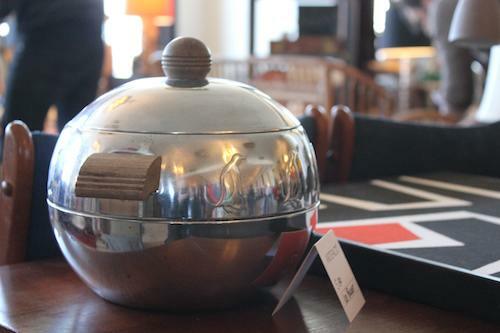 Perfect for your upcoming Mad Men season five premiere party. $30. From Artefacto. 5. 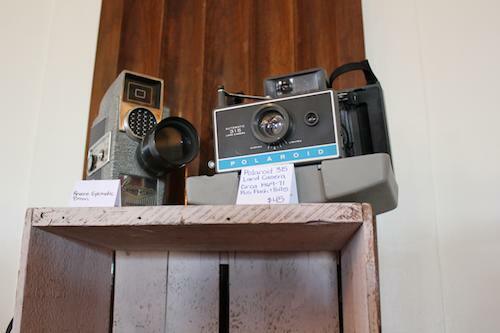 Old Cameras. They decorate book shelves much better than actual books. Revere Eyematic 8mm (on left) $35, Polaroid (on right) $45. From Jenstyle Chic Vintage. Thank you so much for choosing my vintage globe as one of your manly favorites. So glad you stopped by my booth. Hope to see you again next time! Oh, great choices by the way.